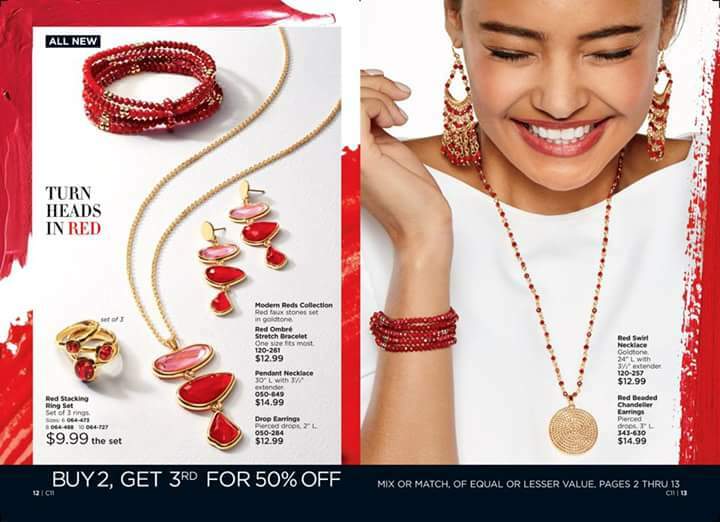 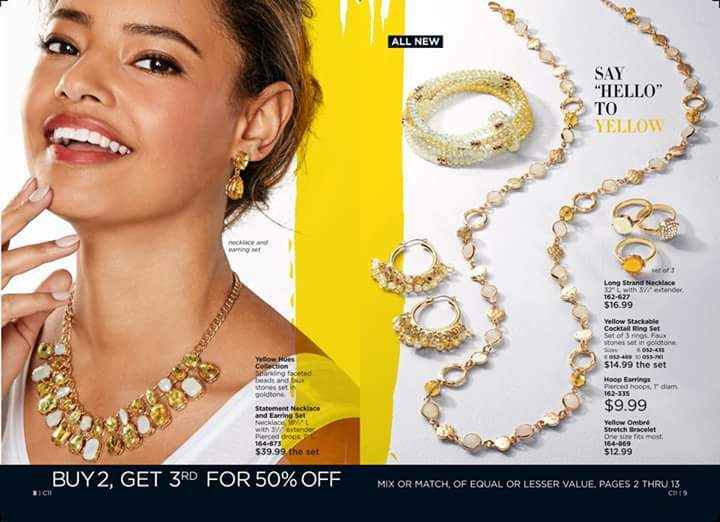 Avon Brochure 11 2018 is full of coordinating jewelry sets in SIX different colors. 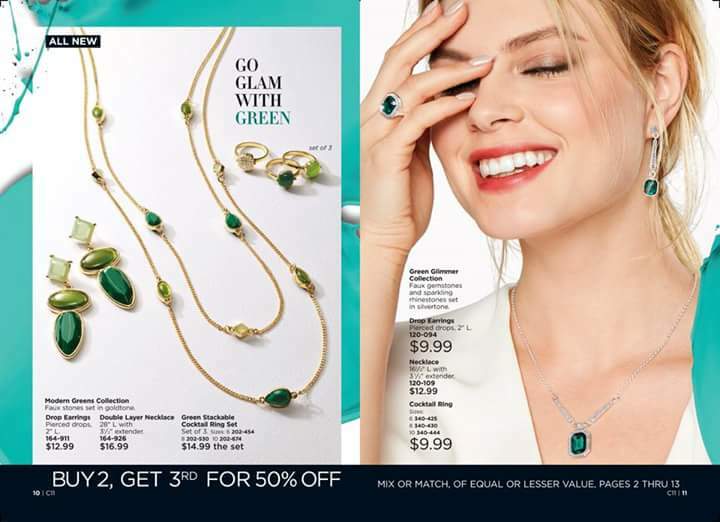 This offers something for everyone's look or wardrobe. The six color collections are teal, violet, blue, green, yellow, and red. Avon is also offering a great deal by giving you one piece at half off when you buy two pieces of jewelry. Depending on your favorite color Avon has new and exclusive jewelry to fit your needs. Whether rings, bracelets, or necklaces to go with your new top or colorful jewelry to wear with a white t-shirt there is a color to complete your look. 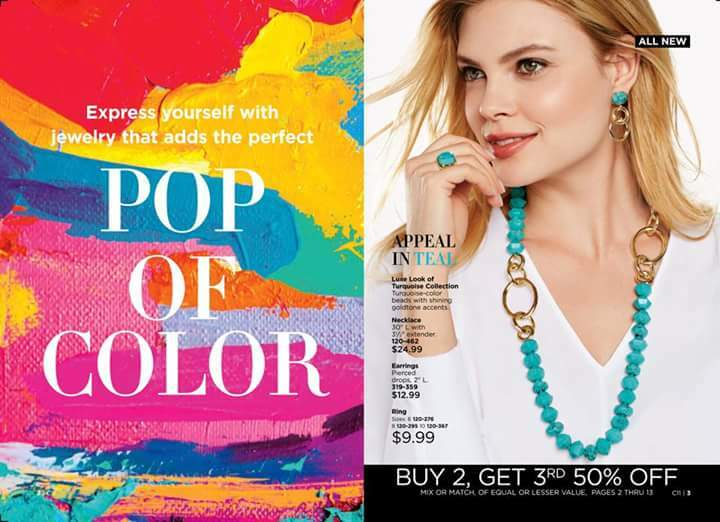 You can add a pop of color to your spring wardrobe. 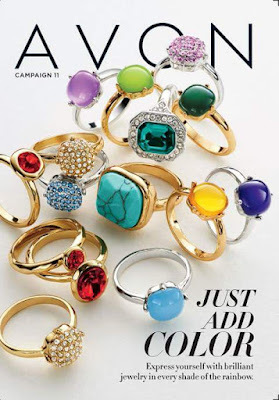 There are three, five, or six pieces to complete your look with different combinations. 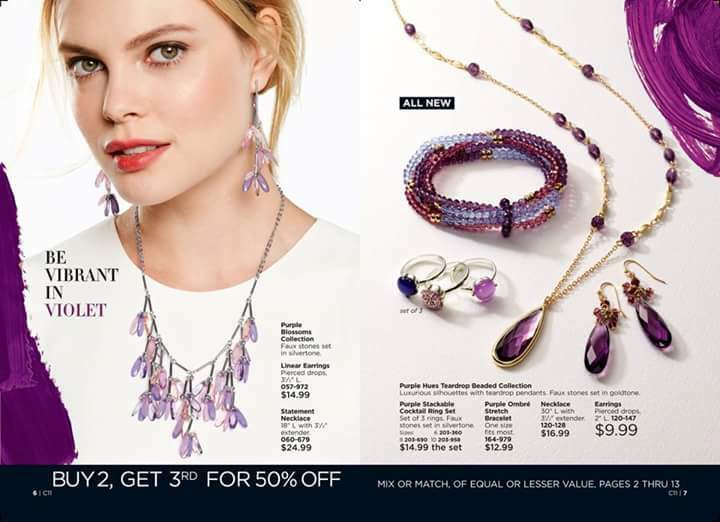 Don't forget for every two pieces you buy you can get one for half off.